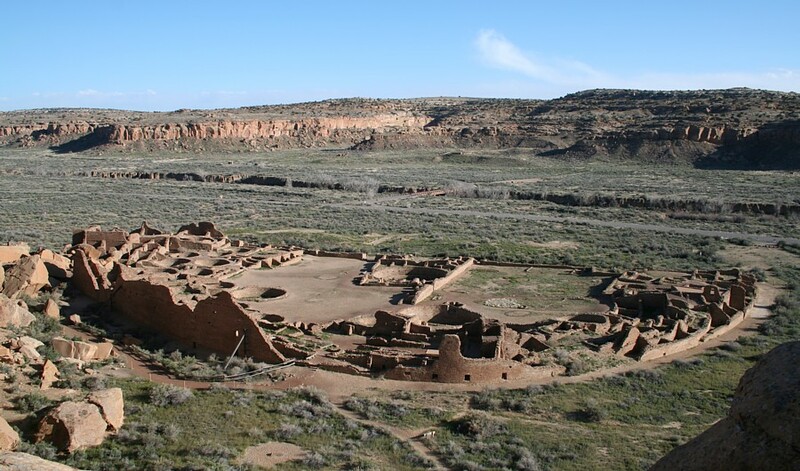 In February of 1990, I noticed that Big Horn Medicine Wheel, Aztec Pueblo, the Pueblos of Chaco Canyon, and the Mimbres Valley are all situated on an approximate north-south line near the 108th meridian. I informed the New Mexico State Archaeologist of the finding. This observation was an outgrowth of my rock art fieldwork and, previous to that, an interest in ancient astronomy as evidenced in architecture. In the '80s, I had first noticed a group of rock art sites with similar images on an approximate meridian. Thereafter I began studying archaeology maps and mapping unmapped archaeological sites. In 1991, I noticed that Casas Grandes, in Northern Mexico, is on the same meridian as Chaco. Four major cultural centers are concentrated on an approximate N-S line. Meridians have been used historically to determine the scale of the earth, so I gave the sites and meridian further attention. Mt. Wilson, one of the highest peaks in the Rocky Mountains, is also on the meridian. I named the concentration the "Chaco Meridian" and noticed that the arc distance from Pueblo Bonito to Wilson Peak precisely equals 1/200th of the circumference of the earth, or 1.80 modern degrees. Likewise, of course, for the latitude difference from Wilson Peak to Pueblo Bonito and Chetro Ketl. After observation of the meridional alignment of these American Southwest sites, I examined other areas for other arrangements. In February of 1991, I first noticed a meridional concentration for the Dzibilchaltun observatory, Merida (prehistoric Tiho), Sayil, Kihoic, Hormiguero, Uaxactun, Tikal, Las Tinajas, and El Trapiche (Tazumal). I termed this longitudinal concentration the "Maya Meridian." On March 21, 1991, while checking the distances between Chac Mools, I noticed the 1/36 of circumference distance (10.0 degrees) from the Tenochtitlan pyramid to the Castillo pyramid at Chichen Itza (both have Chac Mools in their interiors). I also noticed the Tikal to Chichen Itza arc distance of 1/100 of circumference. During Nov. 1991, to accurately check site-to-site relationships at greater distances, I began using spherical trigonometry. 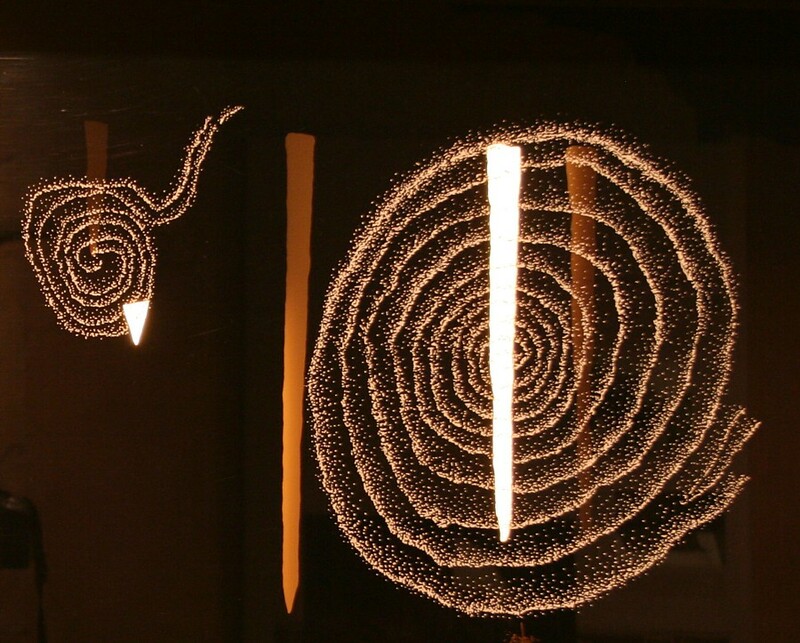 I discovered that the Newgrange-Cheops arc equals 1/10th of circumference and the Newgrange-Avebury arc equals 1/100th of circumference. These early findings prompted continued inquiries, and more site relationships have since been noted. Some evidence infers a relationship between the Chaco Meridian and the Maya Meridian. A more detailed explanation of my concepts regarding the relationship of ancient monuments to geodesy and geodesy-related astronomy is found in the Archaeogeodesy article series. 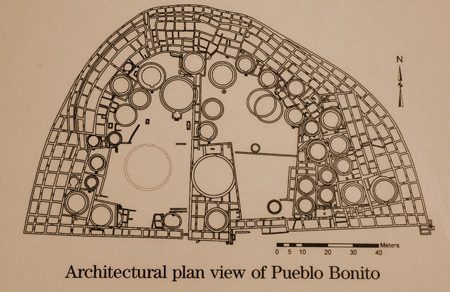 At Pueblo Bonito, the north-south alignment of the central wall and the east-west alignment of half of the south side are well known. 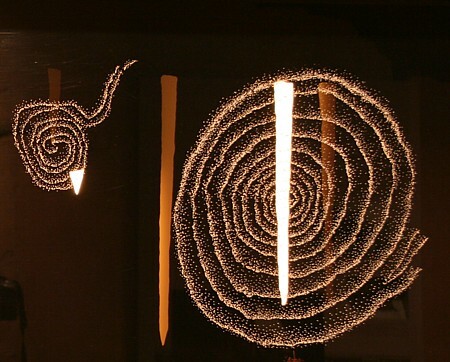 In academic publications, the Chaco phenomena has been a focus of careful astronomical study since publication of "A Unique Solar Marking Construct" by Anna Sofaer, Volker Zinser, and Rolf M. Sinclair (Science, 19 October 1979, 206:4416, 283-291). Sofaer, et.al. 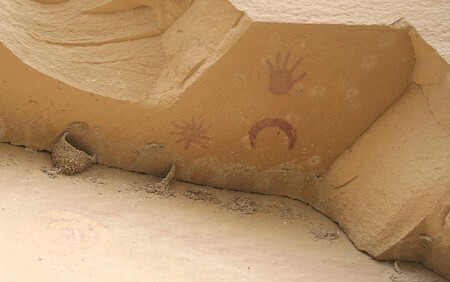 's Fajada Butte study demonstrated complex astronomy for both Chaco Canyon and southwest rock art placement and epigraphy. The Fajada Butte archaeoastronomy discovery focused my attention on southwest rock art and on these authors for one of the first times. Fajada Butte is an illumination hierophany on a small scale relative to Great House lines and alignments the authors later considered. Again in 1982 and 1983, Sofaer and others published on "astronomical markings" and "lunar markings" on Fajada Butte. 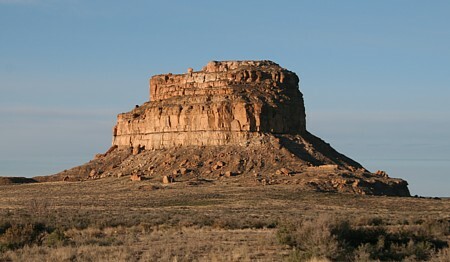 Sofaer, Michael P. Marshall, and Rolf M. Sinclair noted the relative longitudinal positions of major sites in their 1989 publication "The Great North Road: a Cosmographic Expression of the Chaco Culture of New Mexico" in World Archaeoastronomy, edited by A. F. Aveni, New York: Cambridge University Press. Chaco Canyon and the broader Chacoan sites present a rich array of massive architectural constructs in a context of an extensive, straight-line road complex, fertile ground for continuing study and more refined focus. 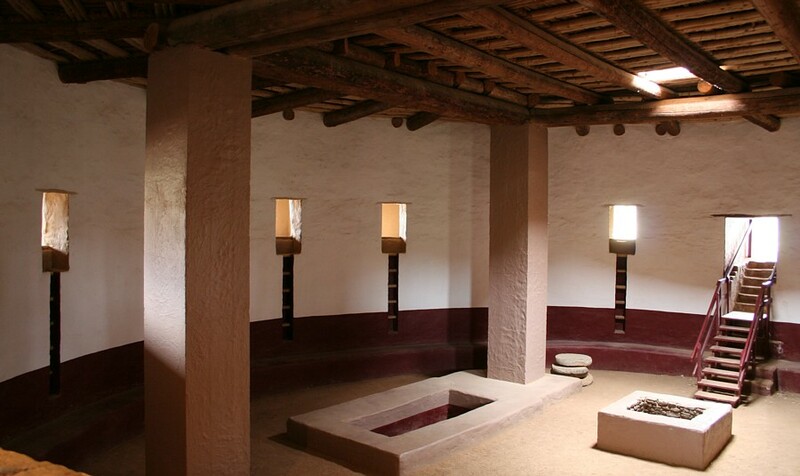 In 1997 Sofaer, writing "The Primary Architecture of the Chacoan Culture: A cosmological expression," postulates the role of Puebloan astronomy in the placement of Chaco Canyon Great Houses and the arrangement of outlying pueblos. Her extensive references provide a useful long list of important previous studies on Chaco and archaeoastronomy in addition to the academic context of her findings. In 1999, Robert Redford narrated and Sofaer directed The Mystery of Chaco Canyon. 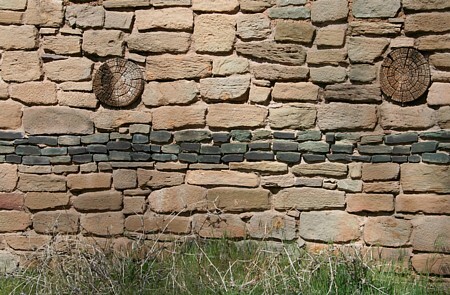 For inter-visible Great House arrangements at Chaco Canyon, Sofaer hypothesizes major wall and site-to-site astronomical alignments. Archaeologist Stephen Lekson in 1999, presumedly unaware of my unpublished geodesy studies (I made several private communications to other archaeologists), published a book entitled "The Chaco Meridian", focusing popular attention on the longitude coincidence of the centers of political power, Aztec, Salmon, Chaco, and Casas Grandes. (Read a critical discussion of Stephen Lekson's book.) One of the criticisms directed at Lekson's political concept is the inaccuracy of the longitudinal alignments. Precision of coincidence on a north-south line is only one consideration in relation to possible ancient geodesy. Meridians are a fundamental geodetic and astronomic tool, but use of geodesy and of a meridian does not require aligning pueblos with precision on a simple North-South line. The question to address is whether or not the sites evidence geodesy. In an intentional site arrangement beyond the range of intervisibilty, complexity might be expected rather than a simple meridian. Continuation of an observation-based astronomical calendar alone might impose a need to utilize the same longitude, but without need for refined precision. THE BOOK OF CHILAM BALAM OF CHUMAYEL, Ralph L. Roys, 1933, Carnegie Institution Wash. D.C. The "width" of the Chaco Meridian, the overall difference in longitude between Casas Grandes and Aztec, is about 0.05 degrees (see figure following). This longitudinal width equals less than a three-mile baseline at Casas Grandes. The Pueblo del Arroyo (puar) and Chetro Ketl (chet) great kivas are situated nearly due East-West, spaced 0.0100 arc degrees, about 1.1 km. 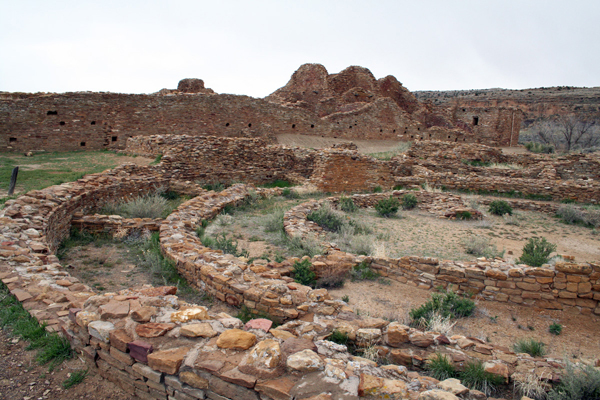 Note, also illustrated below, the number of Chaco Canyon Great Houses between the Mt. Wilson (mtwi) and Casas Grandes (cags) longitudes. The arc distance from Wilson Peak to Pueblo Bonito and to Chetro Ketl is near 200 km, equaling 1/200th earth's circumference (cir/200) as do their respective latitude differences. In addition to 14,017 foot Wilson Peak, two other 14,000 foot peaks crown the Rockies north of Chaco, Uncompadre Mountain, the tallest at 14,308 and Mt. Eolus at 14,084, along with Hesperus Mountain at 13,232 ft. The latitude difference between Uncompadre and Mt. Eolus is 0.4498°, cir/800. The latitude and longitude differences between Uncompadre and Hesperus mountains are equal. Pueblo Bonito is 1/2 degree west of Uncompadre, and 0.1271° east of and 1.3845° (cir/260) south of Hesperus. Including relationships to major peaks in site arrangement considerations adds to the complexity of assessing the meridional site concentration. 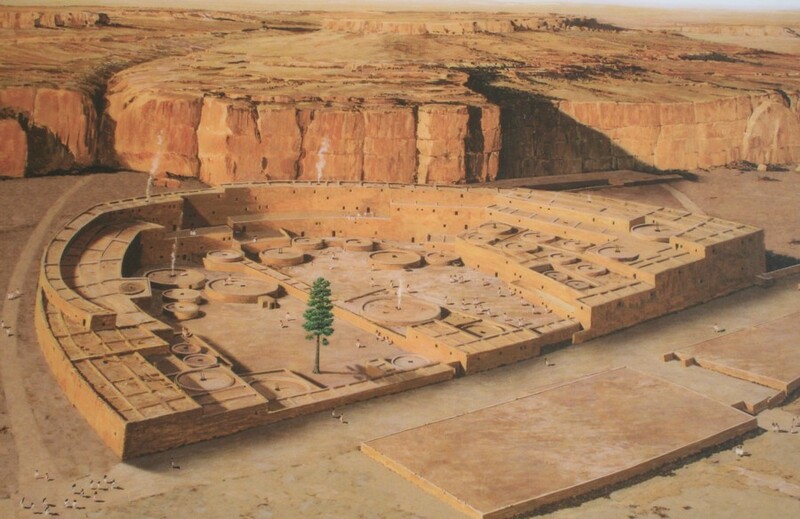 Site arrangements on an even larger scale, extending beyond the Chaco Culture region, is another complicating factor. A first step in defining the relationships of the constructions is accurate knowledge of their placements. Recent high resolution image updates in Google Earth™ adds to previous resources. 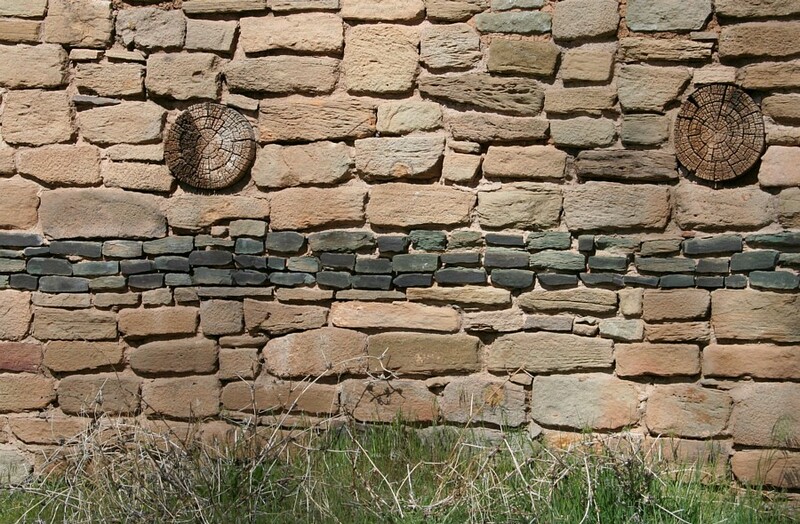 However, GPS readings of major kivas, walls, corners, etc., are required to accurately reconsider preliminary results based on map-derived coordinates. In the Spring of 2007, I completed a GPS survey of the major architectural features mentioned herein, and will add new information after further study using the new data. Some GPS-determined coordinates and data follow. 2008.04.16 - The 2007 GPS survey data is published. All waypoints and current derived coordinates are in a Southwest Waypoints spreadsheet (sw_waypoints.xls). A first version of the placemarks file is now uploaded. The placemarks illustrate a difference between current Google Earth (GE) coordinates in this area and the WGS84 coordinate system. 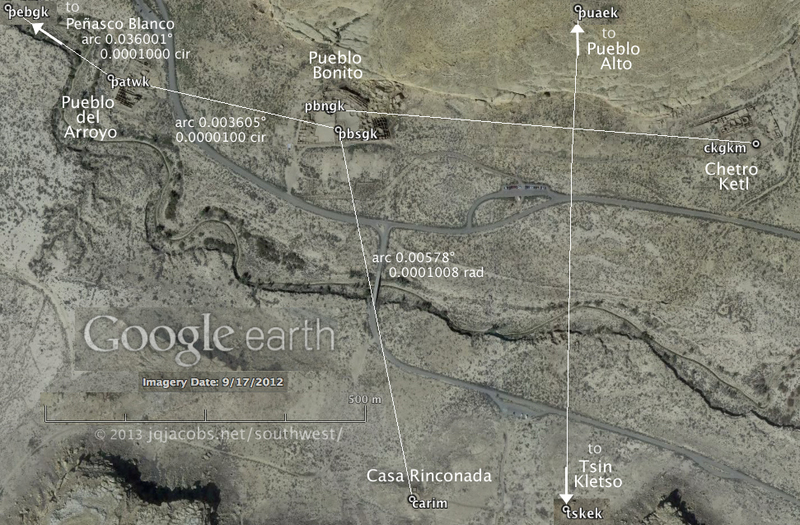 Compare in the image below, the Pueblo Bonito corner south east in relation to its GPS datum (pbcse). Accuracy on the digital globe varies by region, and GE coordinates change as updates improve imagery placement. In the GE menu, use View > Historical Imagery to compare older image placements with updated, hi-res imagery. In just a few years, the resolution amd placement of imagery vastly improves. 2009.07.01 - The Chaco Meridian and other Southwest GPS readings are providing useful findings and prompting more questions. Data reveals relationships and GPS data provides certainty of the accuracy of the relationships. 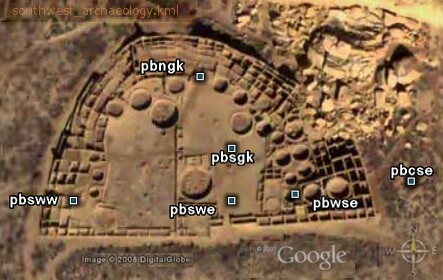 From Pueblo del Arroyo's tri-walled kiva to the large plaza kiva at Peñasco Blanco (pebgk - patwk), arc distance equals 0.036001 degrees (cir/10,000). Each GPS reading has an error factor of about +/- 3 m, and each of these two coordinates is an average of several readings. 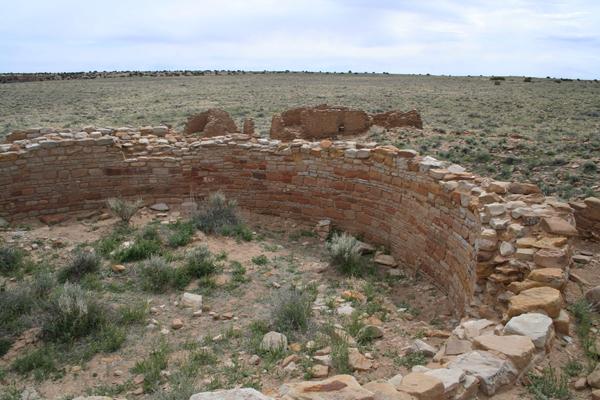 The arc is accurate +/- about 4m from kiva centerpoint to kiva centerpoint, a small portion of either great kiva's width. There is no doubt the arc distance between these two major circular constructs is 0.000100002 circumference, +/- 0.00000010. Likewise, from Wilson Peak to Pueblo Bonito and to Chetro Ketl the arcs are undoubtedly 1/200th of circumference. The real question, of course, is "Are these relationships intentional?" If so, another is, "Are these the intended arc distances?" (lunar orbit per day less lunar orbit per rotation is 0.03598 degrees, a 3m difference in relation to circumference/1,000). Archaeology is not an easy science to pursue. Unlike anthropology, our informants are all dead. Not only are we left with only material evidence, but also a mere sample of the evidence and often without knowing what portion of the original evidence the sample represents. Necessarily, inferential statistics is important in archaeology. Contrastingly with descriptive statistics, margin of error is not inherent when every person in a population is polled. The saying "In archaeology, there are as many interpretations as there are archaeologists" has a bit of truth because archaeologists are often in a difficult position, either inferring their best conclusion or saying nothing about interpretation. In addition to this dilemma, questions like intentionality cannot be easily inferred from obvious statistical probabilities. For example, "Is 1/10,000th of circumference intended, or is the lunar motion difference (cir/10,006.7) intended?" Peñasco Blanco pictographs, Chaco Canyon, New Mexico. Sometimes we just know things, and statistics is not required. Reading this sentence is a good example. You just know what it says. What if someone else who knew not about phonetic alphabets and writing asked you to prove statistically that it says what you say it says? Phonetic alphabets and writing are not the only means of communication, so now imagine trying to apply a statistical solution to "reading" a pictographic communication without strict iconographic conventions, or reading a new codex with unknown conventions. Reading intentionality of meaning can be difficult even with written words. As with sentences and pictographs, context in archaeology can sometimes be more useful than statistics. A task the archaeologist faces, after learning to "read" the record and "knowing" what it says, is to somehow demonstrate to others an interpretation, sometimes in the face of entrenched paradigms propped by mantras such as "Can you prove it statistically?" So how do we arrive at certainty about intent AND demonstrate same as factual? Astronomy and geodesy provide context for monuments. Monks Mound at Cahokia is a great example relevant to statistics and sample size. Monks Mound is situated at 38.660 degrees latitude. The latitude tangent equaling 0.80 transects the mound, the center of Woodhenge, and the apparent baseline of the mound complex. (The arctangent of 4/5 equals 38.65981°.) Monks Mound is a singularity, the largest earthen mound, 100 feet high covering over 14 acres with an estimated 22 million cubic feet of earth. However, statistics can be applied to a sample size of one, especially in the geodetic context. Given the distance from the pole to the equator what are the odds of such a precise placement? Or, more narrowly, given the geographic extent of Mississippian Culture mounds, what are the odds? 2009.12.02 - During the summer of 2009, I was able to complete more Aztec GPS readings. From Tikal Pyramid IV, the tallest pyramid on the Maya Meridian, the ratio of the arcs to the two Aztec great kivas presents the ratio of years per solar orbit (yo = 0.999962), accurate to within 3m given the kivas center-on-center spacing (the same accuracy as the error margin for the GPS coordinates I derived). The longitude difference between these monuments (mean = cir/19.5989) correlates with the difference between the eclipse nodal interval (eclipse year) and solar orbit. There are 19.5988 eclipse nodal intervals during one turn of the axis of lunar orbit (et = 19.5988 using astronomy data for the Chaco epoch, 1050 A.D.) and 19.6130 eclipse nodal periods per lunar standstill period. The mean latitude difference is 19.6116 degrees. There are 346.620 days per eclipse nodal interval. The two great kivas form a triangle with sides 1.0 : 3.4667. From Tikal Pyramid IV to Pueblo Bonito North Great Kiva, the longitude difference equals 18.331934 degrees, the same arc distance as solar orbit during 18.599602 days. The epoch Chaco (1050 A.D.) astronomical constant value for years per lunar orbit turn (yt) was 18.599603. Given the GPS reading for Pueblo Bonito South Great Kiva, the longitude difference equals solar orbit during 18.59943 days. For the intersection of the Pueblo Bonito's north-south and east-west walls, the longitude difference equals 18.59955 days of solar orbit (the astronomical value of years per lunar orbit turn in 880 A.D., yt = 18.59955). 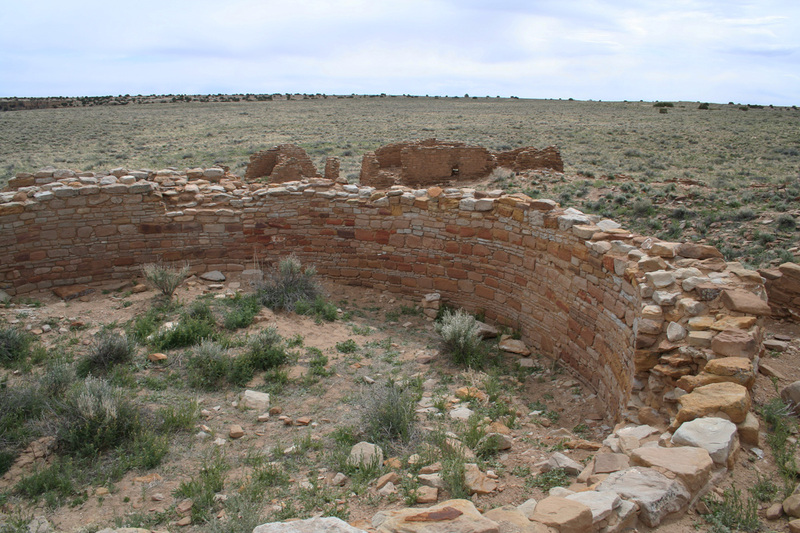 Expressed as the module solar orbit per day (so = 0.98561 degrees, epoch Chaco), the arc from Peñasco Blanco Plaza Great Kiva to Pueblo del Arroyo Tri-Walled Kiva equals 0.036526 so. 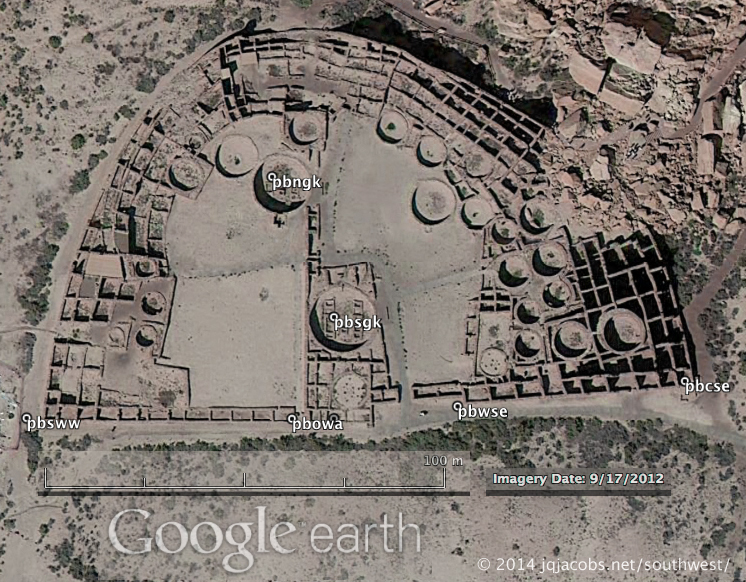 coordinates for kivas, mounds, pyramids, and monuments worldwide. eclipse calculations, and much more. © 2009 by James Q. Jacobs. All rights reserved. Photo Stock.